Oh wow, I like this too. I'll have to research this...like how do they get the plants to stay in the box?! I also like the boxes themselves. I am hoping to build a similar one soon for a tabletop salad garden. Hey! I believe the vertical herbal garden is not hard to build. One planter is below another in a way that leaves when reaching to the sun grow only to one side. Here is a pic: I want to build one too! My question would be how to water it. Wow, that's pretty awesome (not really a word I use that often!). Love how pretty they look as well as practical. Idon't know if you can do vertical planting, but I am doing an art project in which I give out seeds of trees that survived the atomic bombing to the people of US and the world. If you are interested, come see my blog at http://treeproject.blogspot.com and I can send you the seeds. Great ! Thanks for the link! Where is this vertical planter from? I was wondering in particular where the final image is from. There's a low wall along the side of my roof garden that I would love to run into a green wall of herbs. From the angle of that photo, I can't tell if it is a Wooly Pocket, or some other solution. I do not remember where the bottom image is from. Maybe from Apartment Therapy or somebofy's DIY project I found on google images.. But thanks for mentioning Wooly Pocket, I looked them up and I think now I might have to blog about them. what is this made of I would like to build one for my house...great use of space! Do you have a list of the herbs in that garden? I am an avid veggy gardener with a limited amount of space. I think this is a brilliant and very space effective application. It's something I probably will investigate further as we attempt to grow herbs every year now. What a wonderful idea. I must experiment with this. It is visually impressive and also extremely useful. How about watering? Does it get difficult to water? It is a great idea that I would try on my garden wall. Thanks! I love this! So artistic! I'm definitely going to give this a try in the spring. This is the newest thing and I think it's genius!! A really easy way to do this vertical herb garden is to use an old shoe organizer, the ones that hang up and have space for the shoes, usually a stronger plastic, just fill these spaces up with soil. I'm now not positive where you're getting your information, but good topic. I must spend some time finding out more or figuring out more. Thanks for great information I used to be in search of this info for my mission. What a great idea for a small space. I really like this idea; any specifics I could follow? I like this planter a lot! 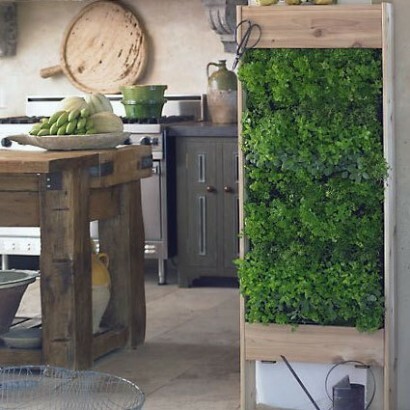 I would like to try to grow my herbs in a vertical planter. I have been gardening professionally for over 30 years. 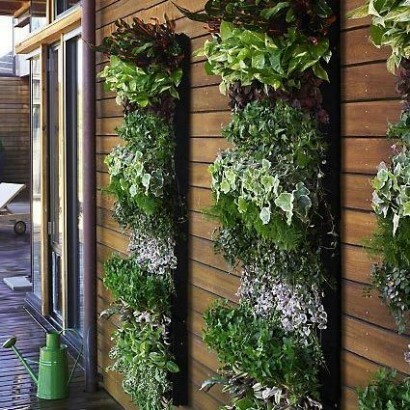 I found the perfect system vertical garden which takes only 5 minutes to assemble and recycles the same water, so you cut down on water usage by 95% and cut growing time in half. Fits in an area the size of a trash can. Called aeroponics. Sign me up! I LOVE IT. I want to know the second this hits the market. I really love your blog.. Great colors & theme. Did you build this amazing site yourself? Please reply back as I’m attempting to create my very own blog and would love to learn where you got this from or exactly what the theme is named. Thanks! You are so interesting! I do not believe I have read through something like that before. So nice to find another person with a few unique thoughts on this topic. Seriously.. many thanks for starting this up. This site is something that is needed on the internet, someone with a bit of originality!